Now let’s take our study of the blues scale further and use the notes of the minor blues scale, the major blues scale and the extended blues scale to create different types of blues licks of riffs. We’re going to start of with simple single-note lick ideas, and then we will introduce other intervals into the licks like minor and major thirds. We’ll talk about some other stylistic elements of blues licks such as crushed notes, keeping one note on top whilst moving the notes underneath, and finally sliding down the notes to create that fast-fingered and exciting bluesy sound. The idea is not to prescribe you a number of licks, but rather break down the common concepts which you hear in blues solos, and this will then empower you to listen and transcribe your own blues licks and lines. For an example of how effective single note blues melody lines can be, take a listen to this section of the Bill Evans "Blues in F" record in the blues forum thread. Bill makes it interesting by first of all, not just using the notes of the minor blues scale, he is using the extended blues scale which opens up much more melodic possibilities and interesting chromaticism. He is also including the major 3^rd^ and 6^th^ in his line. Next he creates a motif using a turn and he repeats over all of the different chords. This is a million times more interesting than just running up and down the basic minor blues scale. Bill’s solo is packed full of really nice ideas for improv over the blues. This is the easiest example in the transcription exercise so if you’re just starting out with transcription, start here. This is where knowing your extended blues scales is useful because it opens up much more interesting intervals, as you can see we now have all of these 3^rd^ intervals in the scale which can be used to create these kind of sounds. If we combine this with some single note melody lines, you will be able to see how things are starting to sound more interesting. This is particularly effective between the minor and major 3^rd^ and gives you that old fashioned bluesy gospel kind of sound. In the F extended blues we could also do this from the b5 to natural 5 with b7 on top. Listen to any bluesy players and you will hear them using this kind of device. This is perhaps the most characteristic elements of blues licks and you will hear it in virtually any blues recording. In this tutorial we create a solo arrangement for “Georgia On My Mind” applying the major blues scale with some soulful licks and riffs. 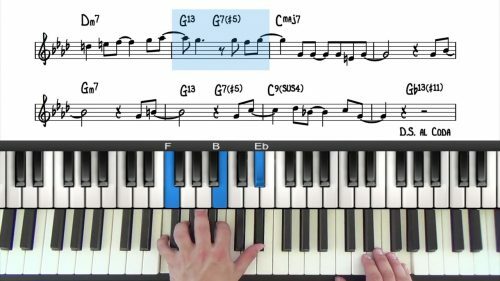 Using the tune “Georgia” – we will also explore the concept of the major blues scale and how to apply this to major 251 progressions. 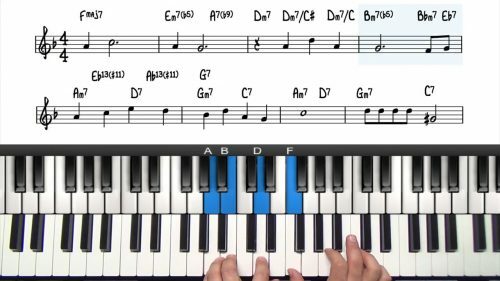 In this lesson we discuss some general improvisation concepts for This Masquerade and also any other jazz standards you are working on. There are a number of F Blues records in the forum where you can find inspiration to transcribe your own lines. If you want to truly absorb the phrasing, rhythm and articulation of blues licks, you need to transcribe them, just copying me will give you some insight, but it won't be ingrained in you because you haven't spent the time to listen. 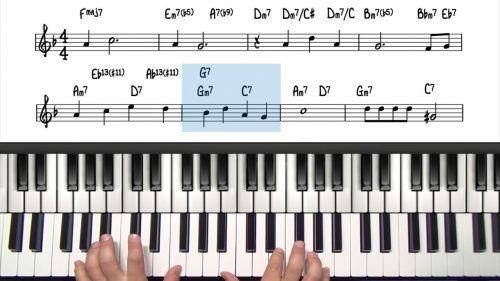 The raw concepts behind the blues style can be taught, but then it is over to you to use this information in developing your own understanding through transcription.